At this point, you probably already realize that any game from Voodoo is going to have way too many Ads. 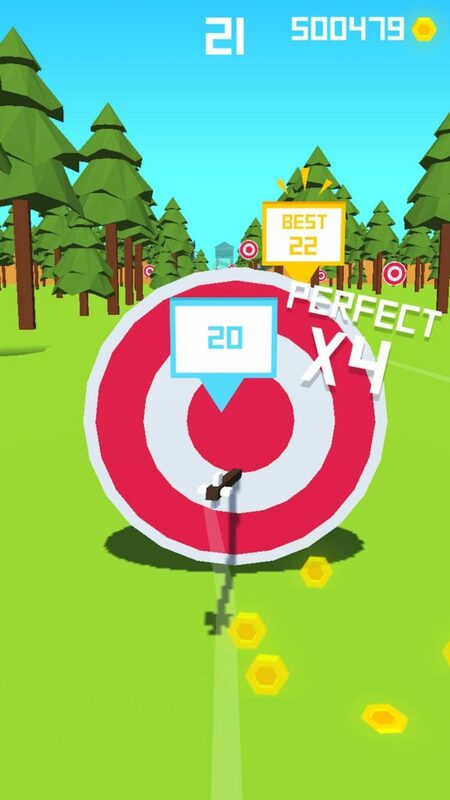 Unfortunately, it seems this is just the way things are, and they aren’t going to change any time soon …so with that in mind, this is our review of Flying Arrow! 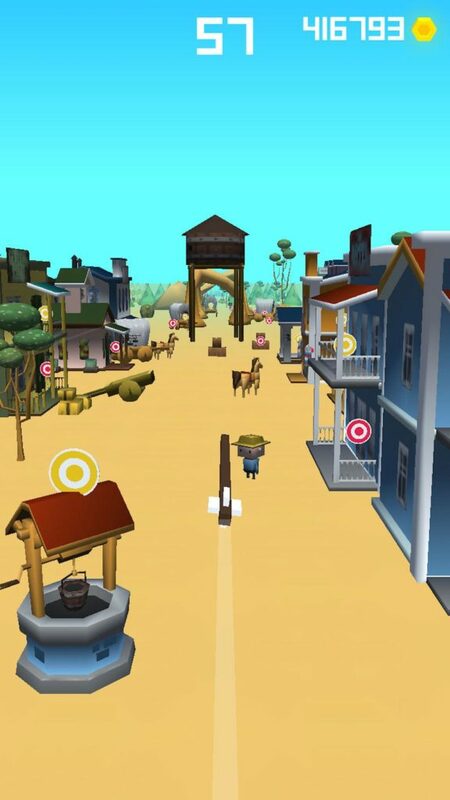 Set in a low-poly world similar to that of Baseball Boy! 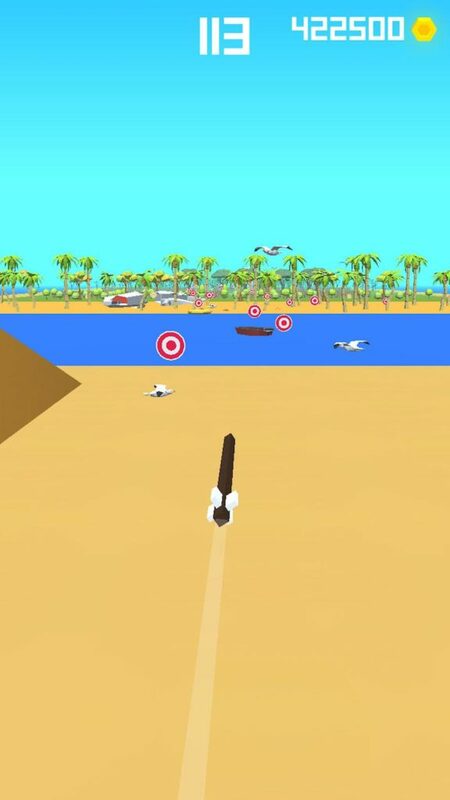 (by Monkeyfood and Voodoo) your mission in this game is to “Aim and Fire” an arrow by touching and dragging on the screen of your device, and then hopefully guide it to one of the many bullseye targets scattered around the stage by touching and dragging anywhere on the screen of your device. 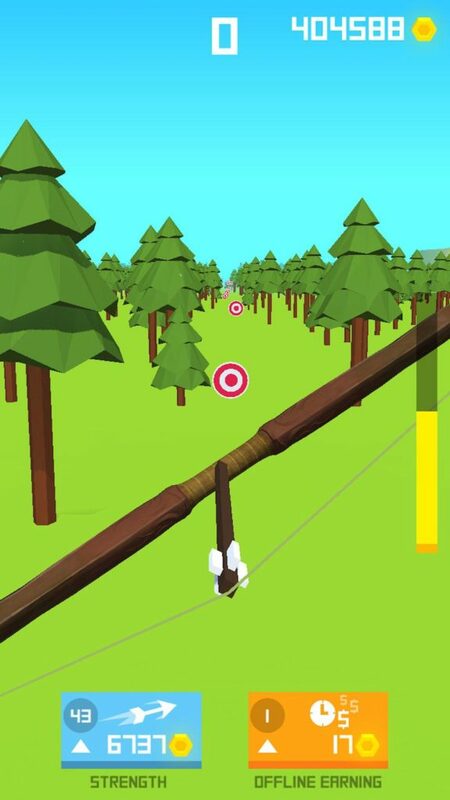 At first, your arrow will hardly fly at all, giving you only a few seconds to control it before it inevitably smashes into the ground and GAME OVER… As you gradually upgrade your bow, you will slowly be able to increase the speed and power of your shots, giving you more and more time to control and adjust how your arrow flies and achieve a higher score overall. With a nice low-poly design, simple controls, no unlockable skins or themes, and way too many Ads, this is a game you will kind of have to purchase the “Remove Ads” IAP in order to really enjoy. That being said if you enjoyed playing Baseball Boy! 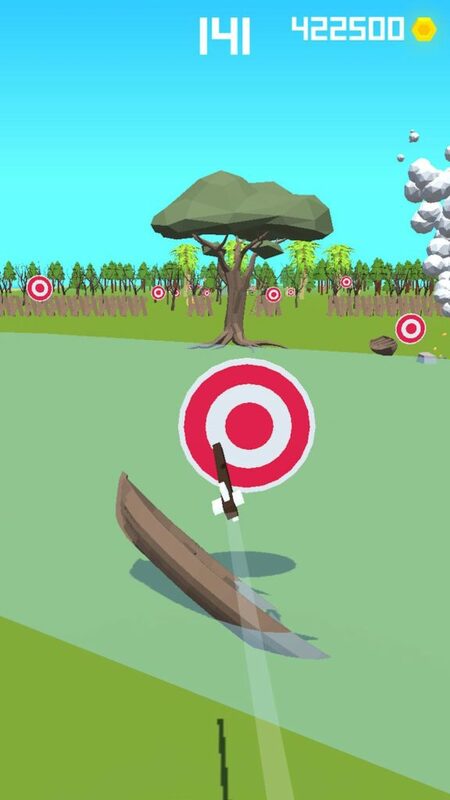 there is a high chance you will really enjoy playing Flying Arrow! Flying Arrow! is a fun game. Although we can probably all agree the game has way too many Ads, the core mechanic is definitely fun and enjoyable. If you’re a fan of Baseball Boy! this is a game you definitely need to check out!